We advise our family dentistry clients at Stephen Ratcliff, Family & Cosmetic Dentistry to watch their sugar intake to prevent cavities and other health problems. If you are trying to unsweeten your diet, you are probably skipping the usual suspects: candy, soda, and baked treats. 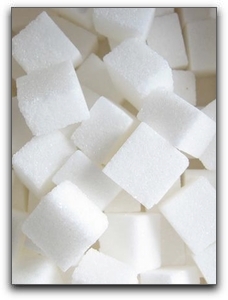 But not all sugar is as obvious as the frosting on a piece of chocolate cake or the powdery stuff in pixie stix. Do the math: when shopping at markets or health food stores, carefully decipher food labels before you buy. Four grams of sugar equals one teaspoon. Add up all the grams of every type of sugar listed and divide by four to truly understand how much sugar an item contains. At Stephen Ratcliff, Family & Cosmetic Dentistry, we advocate and practice preventative care for lifelong dental health. For more information on family dentistry or how your diet affects your dental health, contact us at 817-274-7875. If you have a toddler or child who has not yet visited a dentist, call us today for a pediatric oral examination and information on fluoride and sealants. We are located at 909 W Mitchell St in Arlington.